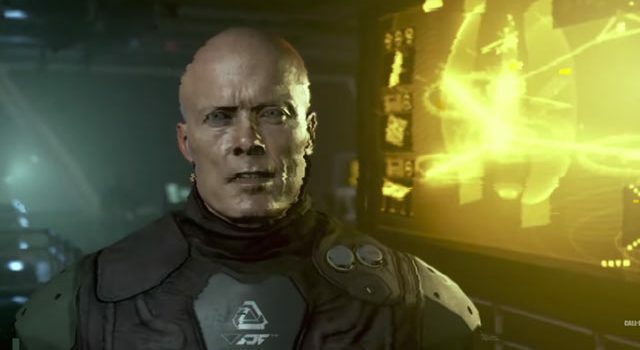 Did you notice this in the latest Call Of Duty trailer? Activision continues the cryptic teasing with a short teaser trailer that reveals little and announces nothing. But, woo, HYPE TRAIN! It’s been a big week for Call of Duty. Poster leaks, rumours of a Modern Warfare remaster, and now a cryptic trailer that seems to play into all of this hysteria. We don’t know what the hell is going on in this teaser trailer, but it’s clear that the next Call of Duty is going to be just as outrageously Michael Bay’ish as those before it. You can tell by the sinister bad guy cliche overload we get in the trailer. But, eh, who’s complaining!? Well, anyone that liked Ghosts, the last Call of Duty game developed by Infinity Ward. Surely they’re going to continue on the story? Also, notice this? At 0:07.